Welcome to the 80’s, a time where pop synths dominated the airwaves and the famous Roland drum machines were making their way into mainstream music! The 80’s had a tremendous impact on the music industry and it’s making a comeback in a number of ways on today’s billboard charts! 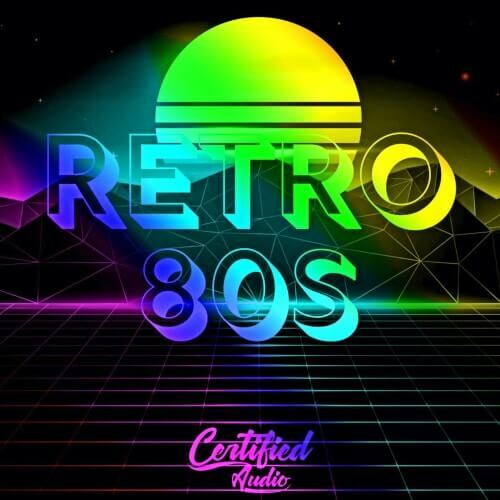 Welcome to Retro 80’s a collection of loops and samples that have been processed with old school analog gear and hardware to bring out that classic warmth and dirt we all love to hear from the old days! Warm analog synths, driving analog bass, punchy reverb laced drums and you have a combination that will be sure to spin heads wherever you are! Over 300 MB of content inside with everything you need to revisit the good ole days. Everything comes in 24-bit 44 khz and everything comes Royalty Free as always! Whether your looking to make Synthwave, Pop, or Classic HipHop Retro 80’s has you covered from the ground up!